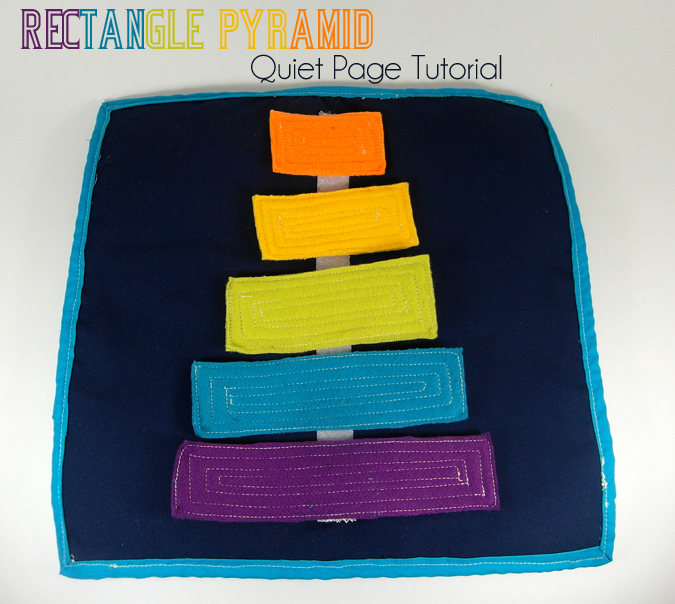 ' Shapes Quiet Book Pages Tutorial - Sisters, What! I've already made a few quiet book pages for Luke, but some friends asked if I wanted to make some more quiet pages with them. I couldn't help but say yes, especially since Captain Awesome is getting older and ready for some more difficult pages. Here are the pages that I contributed; I have yet to finish the other ones still, but I'll post those ones as soon as I finish. Plus, I've discovered snag free fleece (aka anti- pill fleece) that doesn't pill or snag with velcro!! AMAZING!! I've seen quite a few shape pages and really wanted one that was colorful and had a bit of variety. 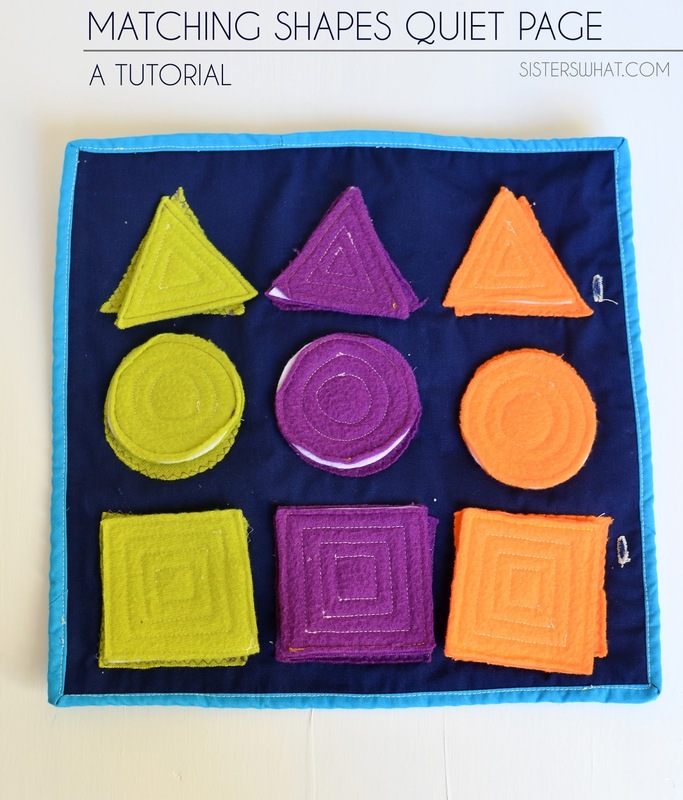 //2// Then sew on the soft side of a 1" piece of velcro to each shape. //3//Now you should have 2 of each shape left. Onto one of the shapes, sew on the other side of the velcro. //4//after the velcro is sewed on each shape, match the shapes up and sandwich the pellon inside each one then sew around the edges of each shape. And your done! 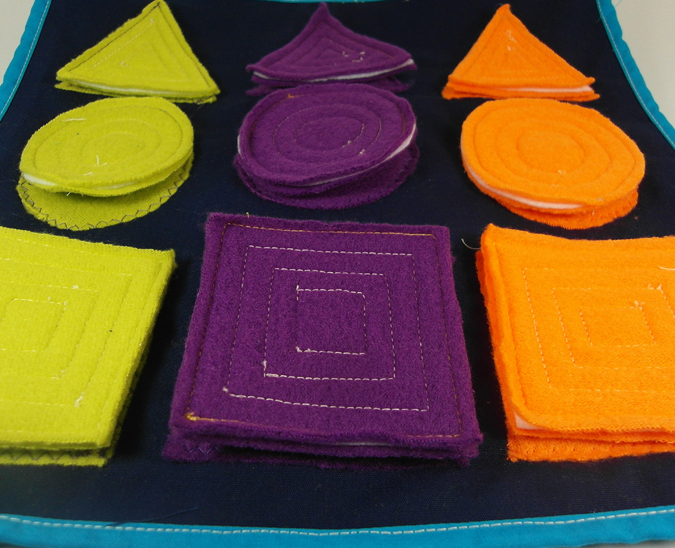 ///Velcro: use a 10 inch strip of the soft side of Velcro to sew onto the base. 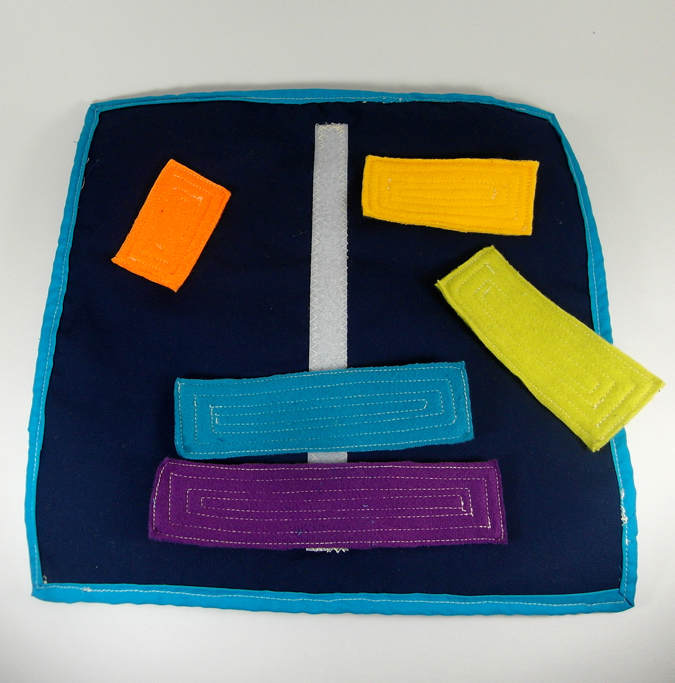 //1// first, zig zag stitch the 10 inch strip of the soft side of the Velcro to the cotton base page. 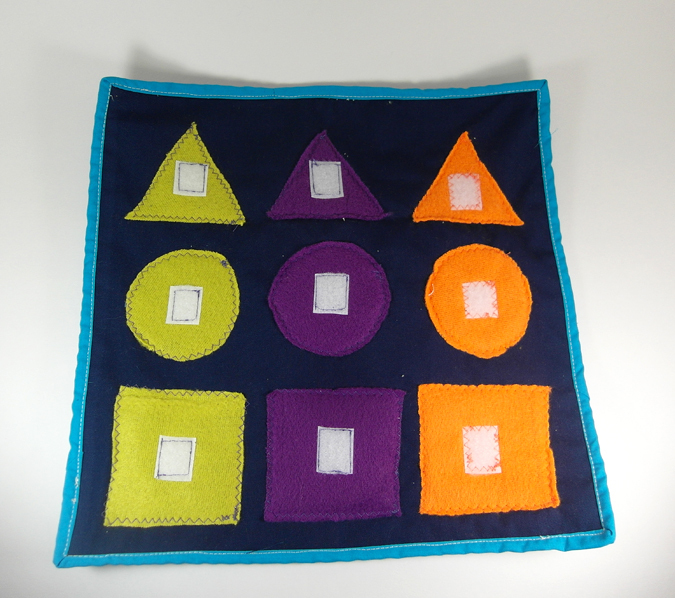 //3// Now match up all the color rectangles and sew around the edges. And your done! After I finished each page, I then added a 12 x 12 piece of Pellon to the inside and then added some binding to bind the two pages together. So there you go. I'll post the other quiet pages that I'm working on as I finish them.